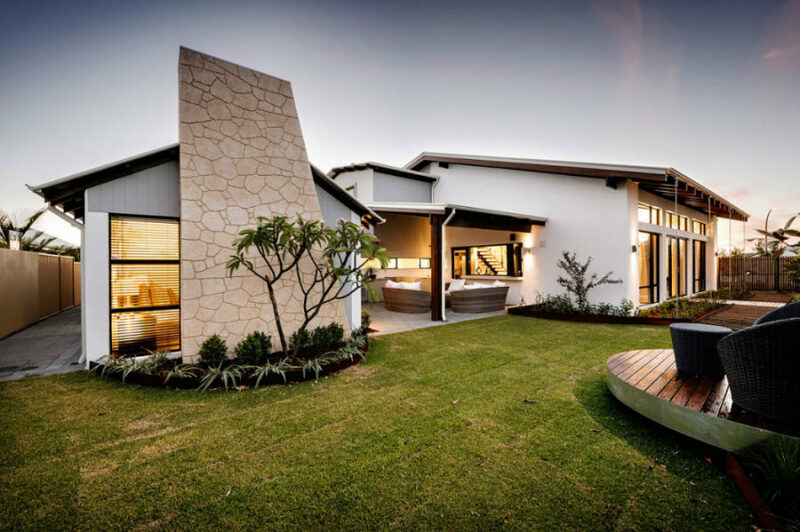 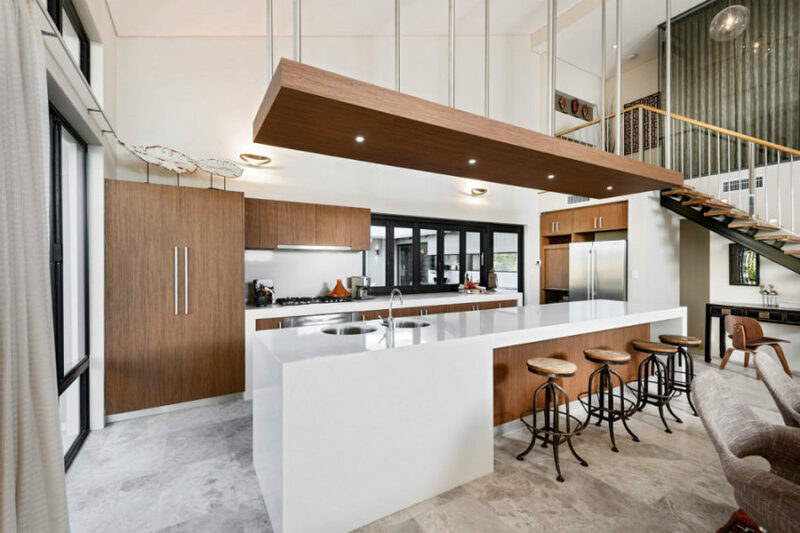 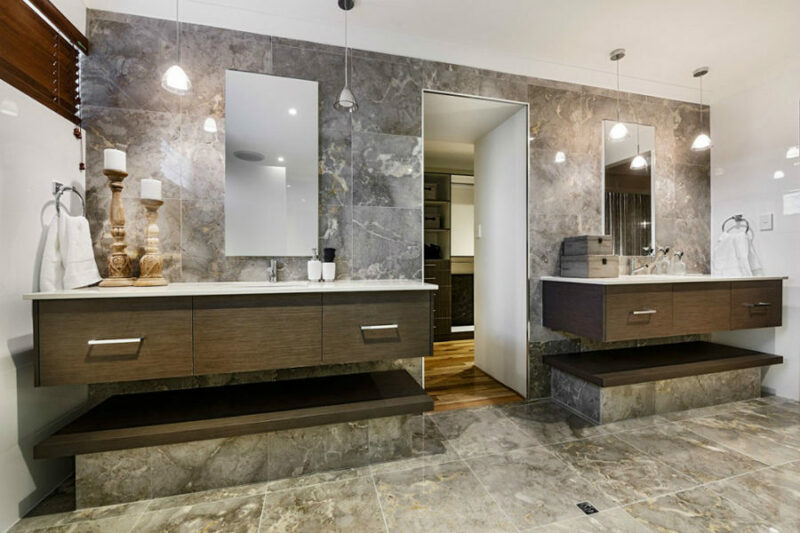 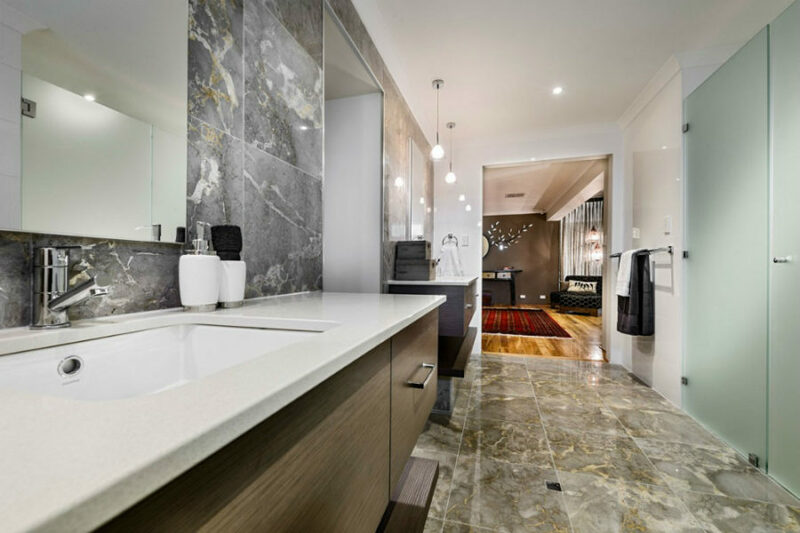 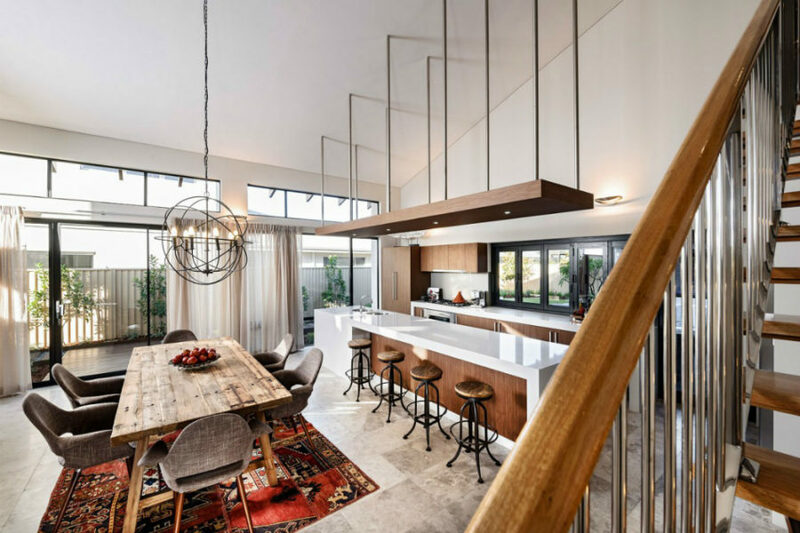 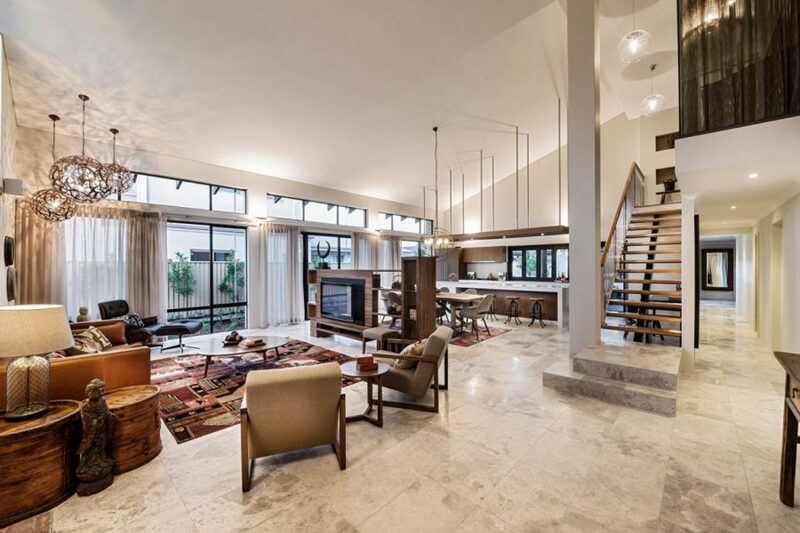 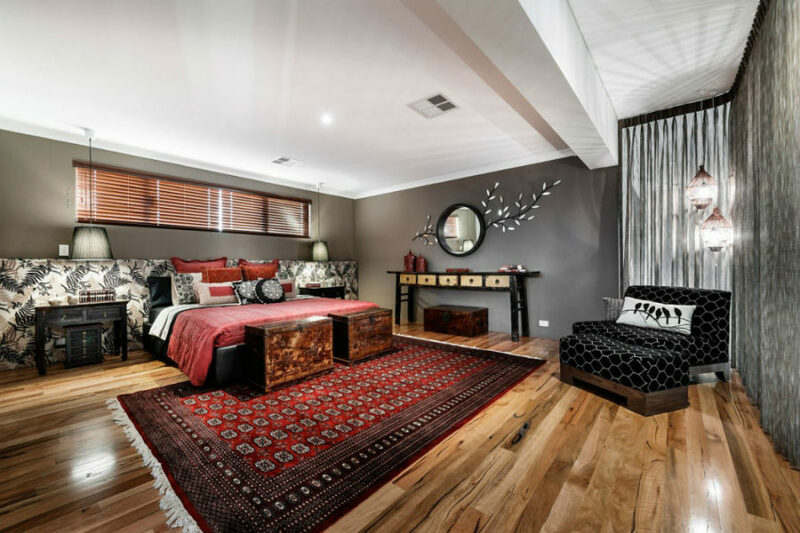 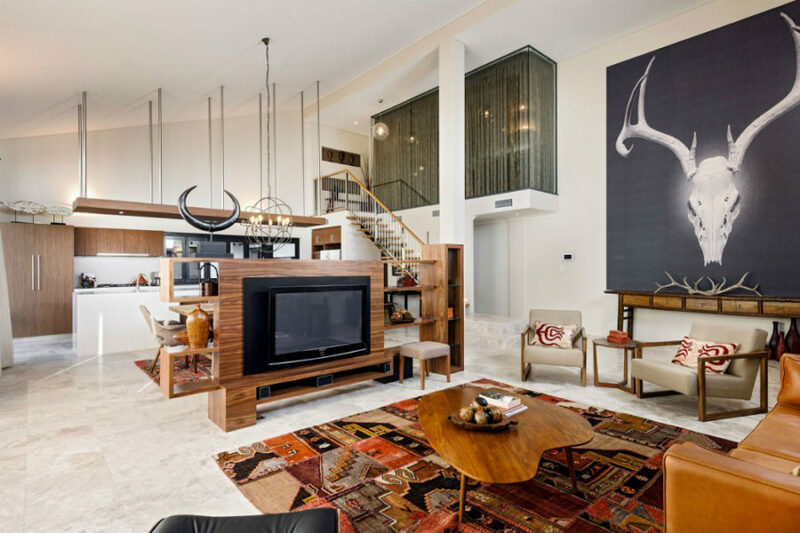 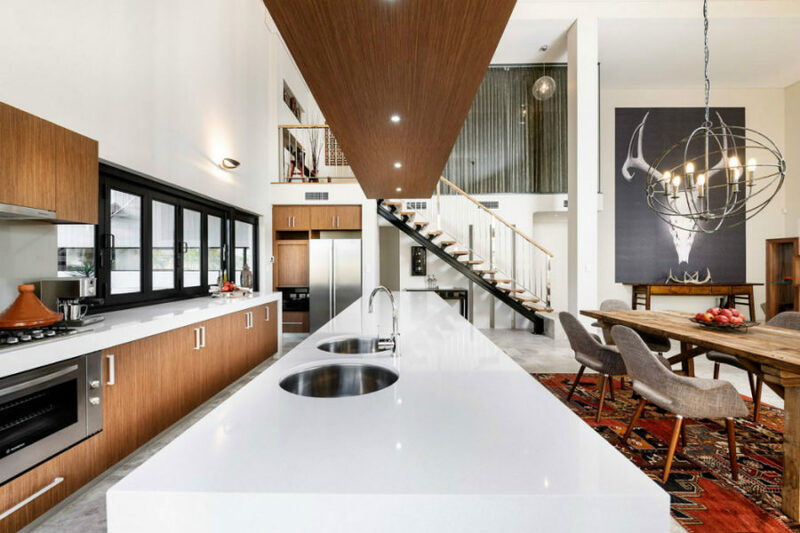 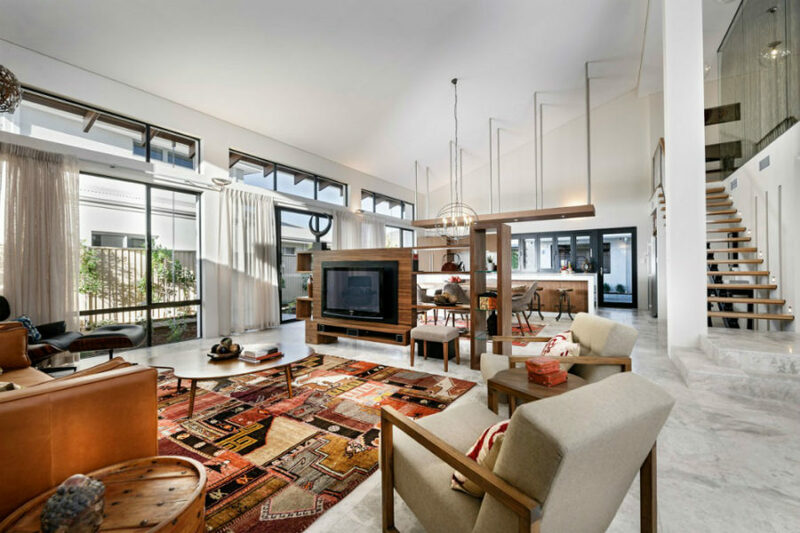 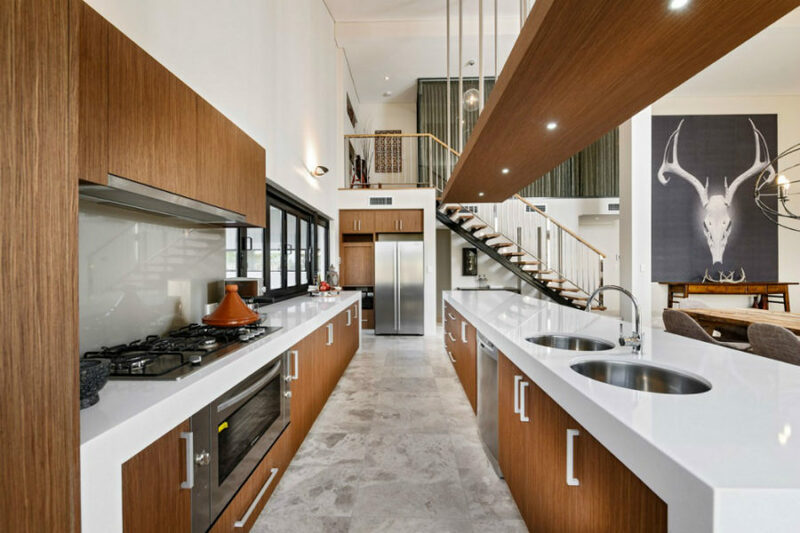 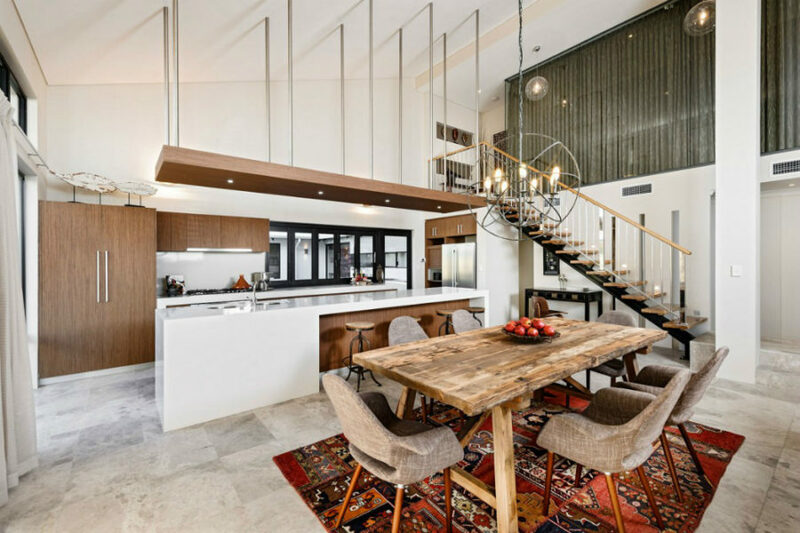 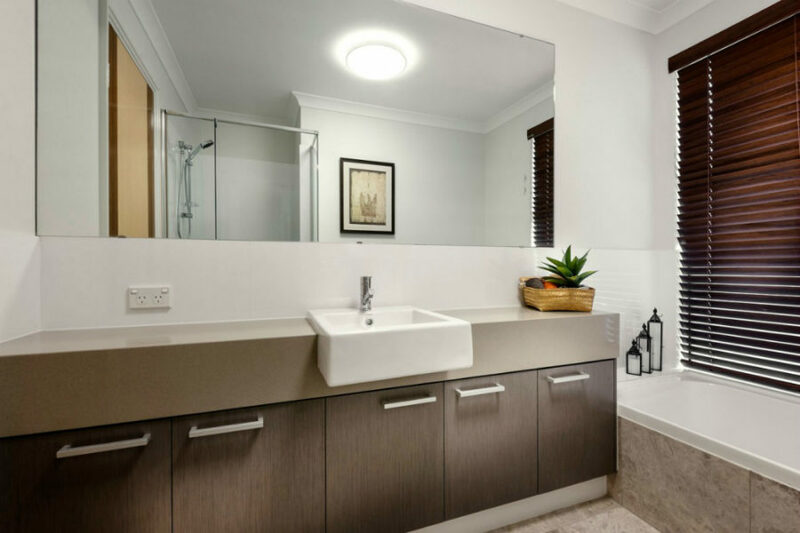 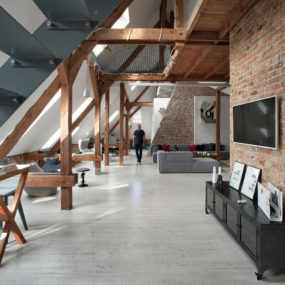 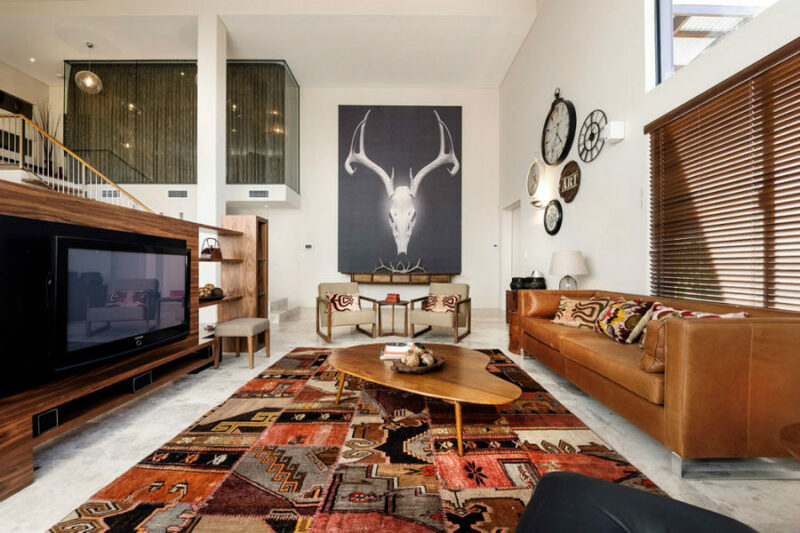 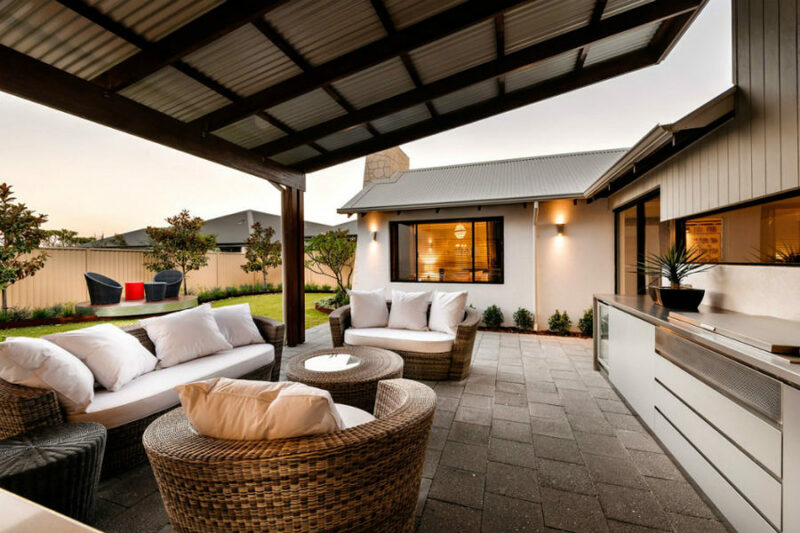 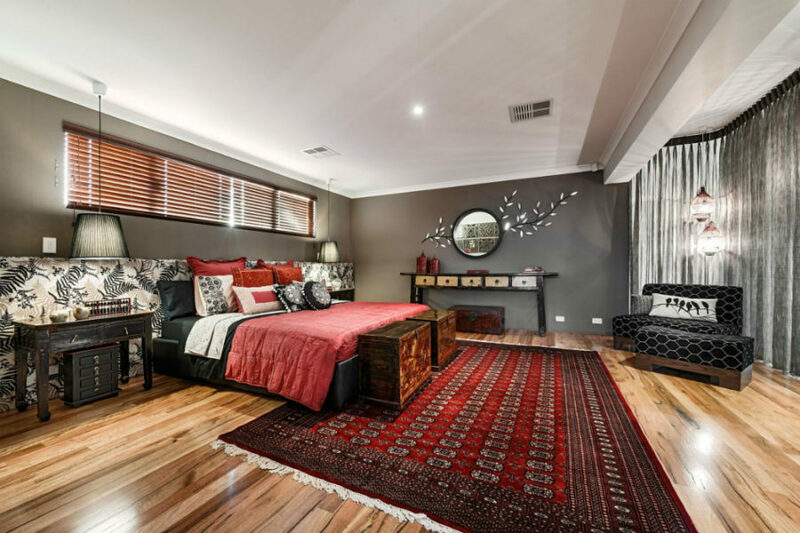 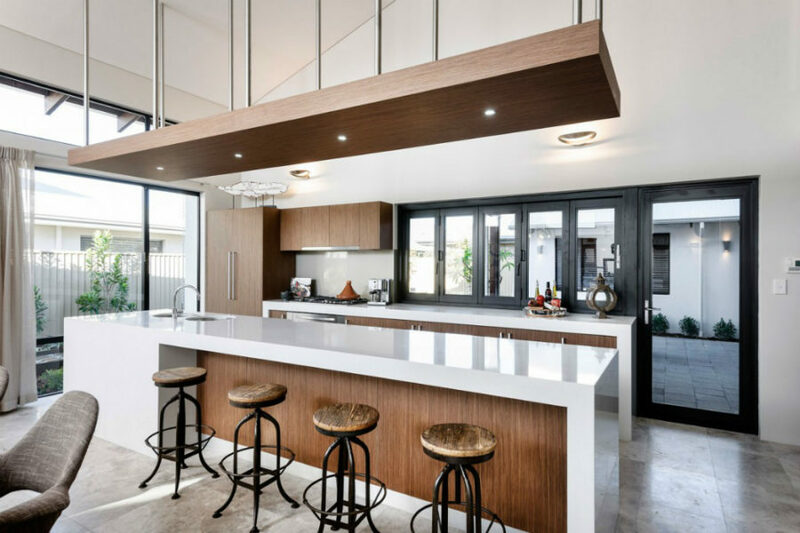 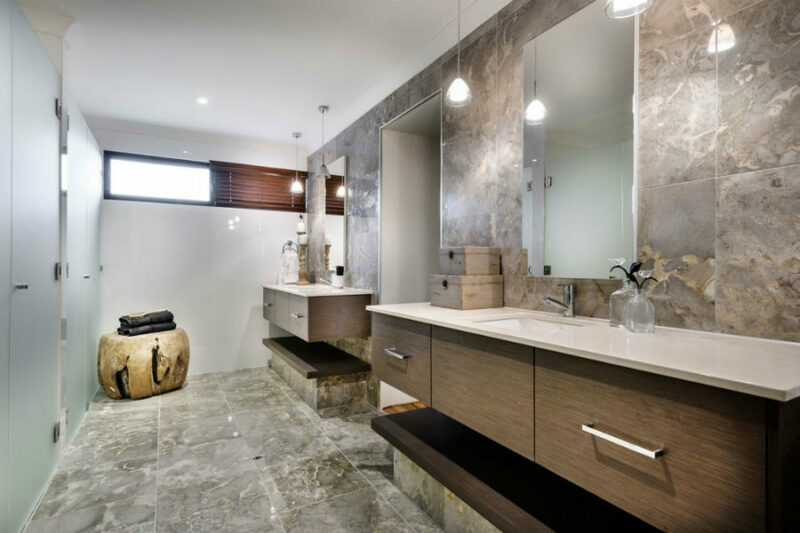 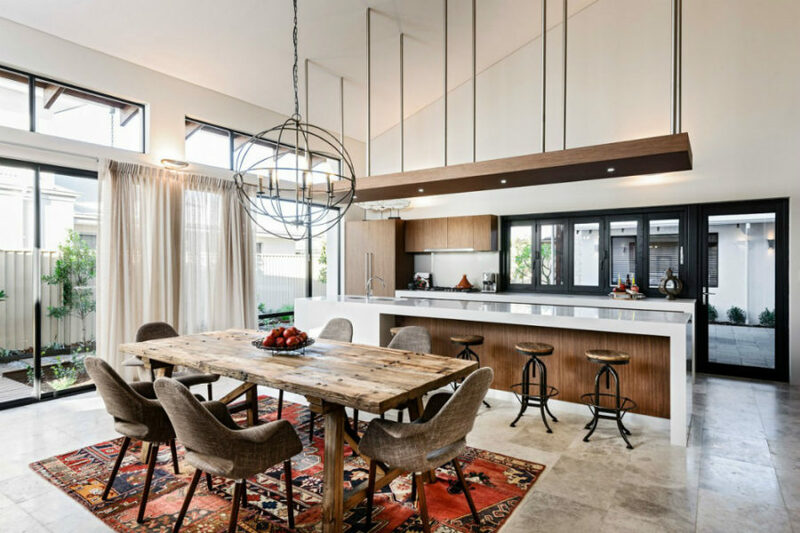 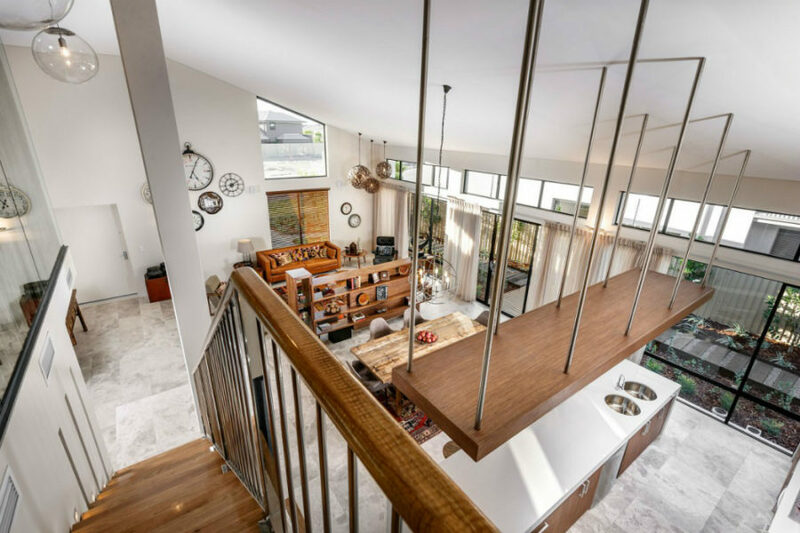 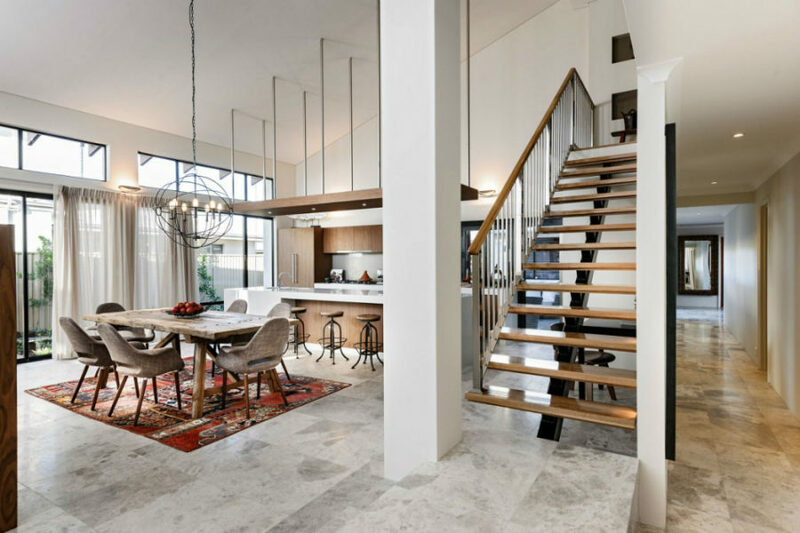 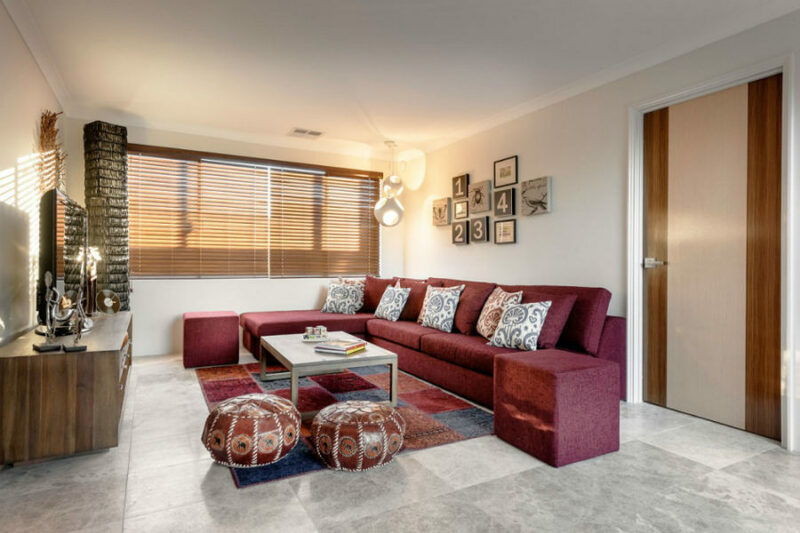 The Rural Building Company took this and that and everything else and put it into their project in Perth, Australia to create the most exotic loft. 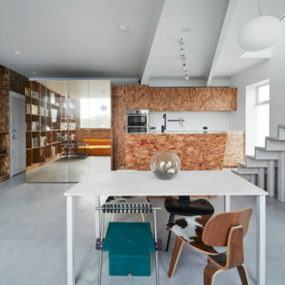 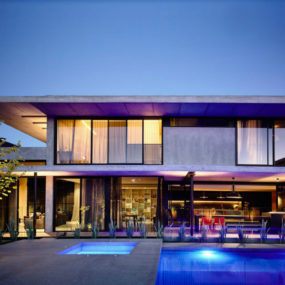 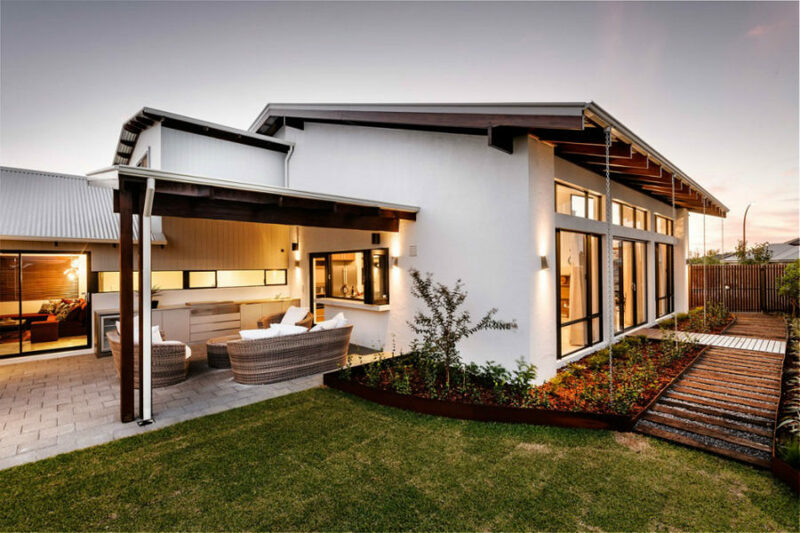 Its very facade will convince you that it’s a no ordinary home or another clever conversion. 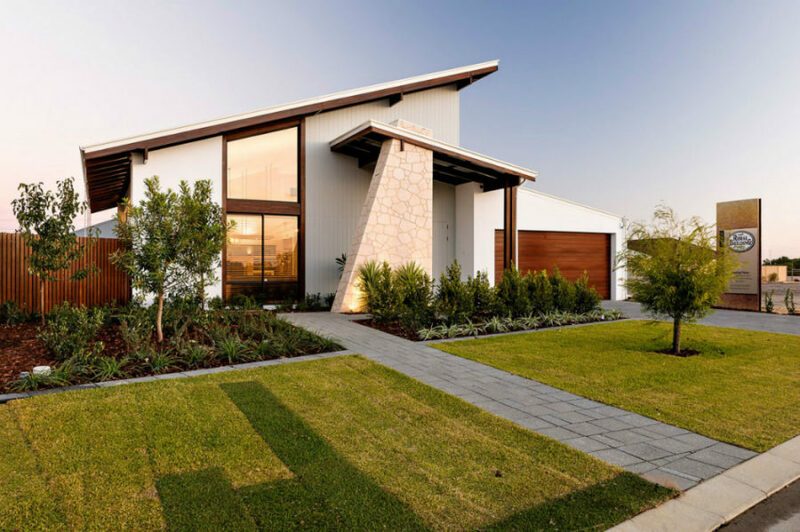 Slanted roof and angular shapes characterize the facade that moves in a dynamic dance of contrasting materials and textures. 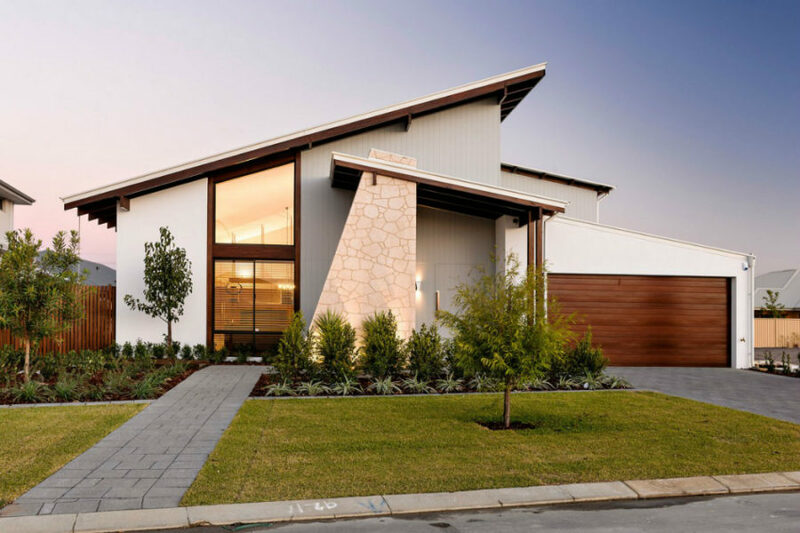 Using wood, light slat siding, and plaster, the creative team did an incredible job of putting together a contemporary home that is full of interesting details. 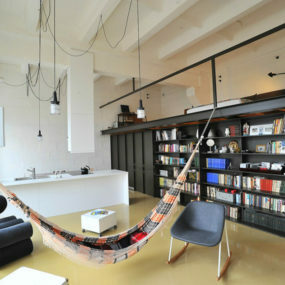 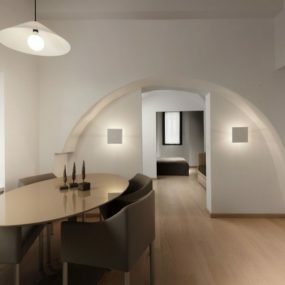 Open layout allows residents to socialize but also regulate privacy with help of light curtains. 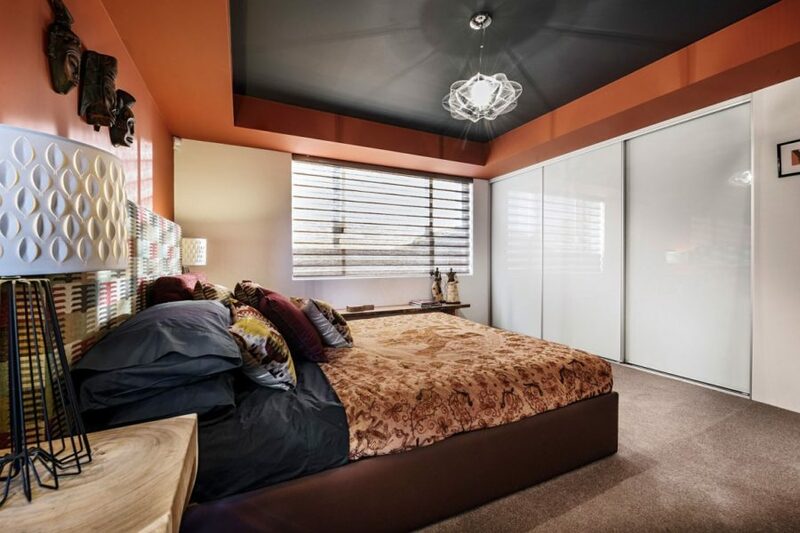 A curtained loft bedroom that overlooks the public zone makes for a beautiful and intriguing interior element. 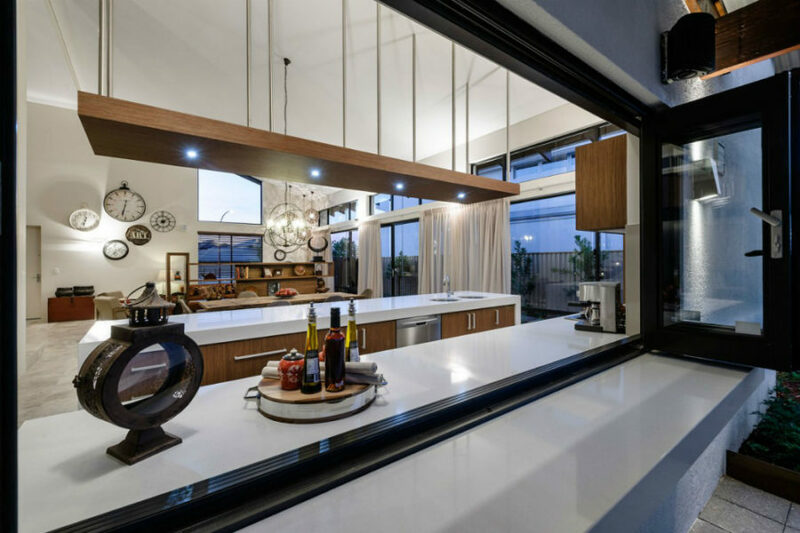 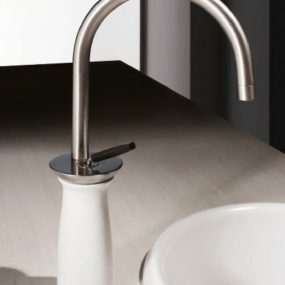 The kitchen organically connects to the outdoors where residents can relax under an awning during especially hot days. 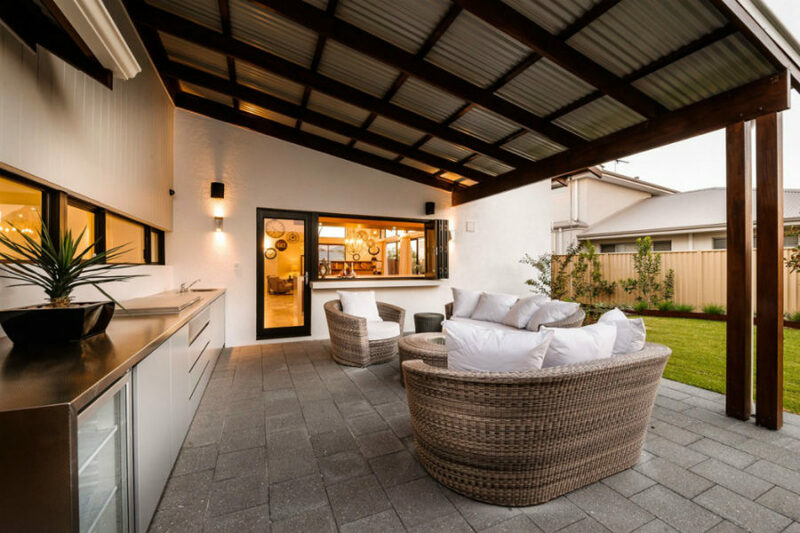 And a fully open circular wooden terrace makes for a better spot for catching an evening breathe.